Shield, prevent and protect your skin from damaging and ageing UV rays, free-radical damage and dehydration. The refreshing citrus formula makes skin look radiant, youthful and supple. Next Generation Vitamin C – Provides 50 times the collagen-building, skin-brightening and cell-protecting power of ordinary topical vitamin C, ensuring you look youthful, firm and illuminated! Antioxidants – Powerful antioxidants ward off ageing by protecting skin from harmful free radical damage. 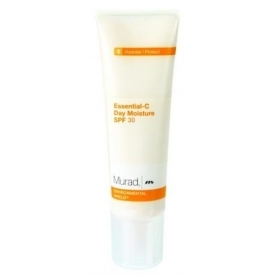 Broad Spectrum Sun Protection – Protecting the skin from both UVA and UVB rays. Restore your skin to its former glory by infusing with powerful antioxidants and Murad’s invigorating Vitamin C formula. Skin is repaired, protected and left looking youthful and healthy while the refreshing citrus scent ensures skin feels fresh and rejuvenated. 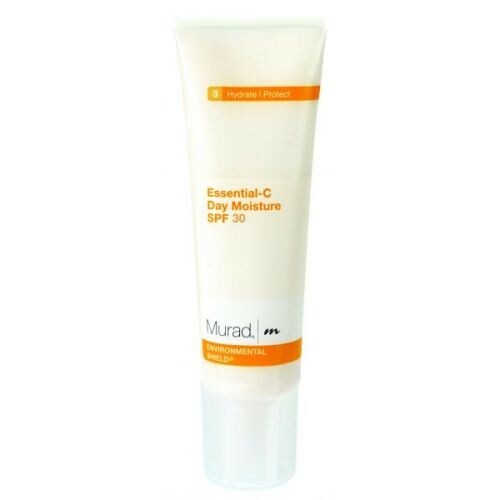 Excellent value for money, the Essential-C Day Moisture SPF 30 | PA+++ offers broad spectrum protection which screens skin from harmful and ageing UV rays. Plus it shields against free radical damage whilst deeply hydrating and repairing your skin. The unique formula ensure you won’t need to cake your face with products, leaving skin room to breathe while you feel confident that skin has everything it needs – including superior protection. Use every day and enjoy firmer, smoother, healthier looking skin! I had a travel set with a small travel sized version which comes in differing packaging from the full sized version. The cream has a light orange tinge, a little reminiscent of mandarin yoghurt, with a zesty, creamy fragrance. The texture of the cream is very rich textured and leaves the skin feeling deeply hydrated. The product is absorbed well. As mentioned by Bougheyrm, this product is extremely expensive but the best way to enjoy it is to look out for the travel sets which are available periodically. I have also noticed offers in monthly, women's magazines with codes to get good deals on this brand. I have found their products to be effective. Lovely scent (though I'm not sure about it being citrus) and a nice texture. Easy to use and it absorbs well. 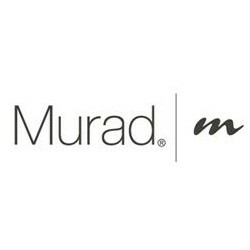 I use it after using a Murad Pomegranate Exfoliating Mask (there is a three step approach to these Murad products) and the final result is lovely smooth skin. Despite Murad's assertion of value for money this is expensive (if nice) and I really couldn't justify using it regularly.